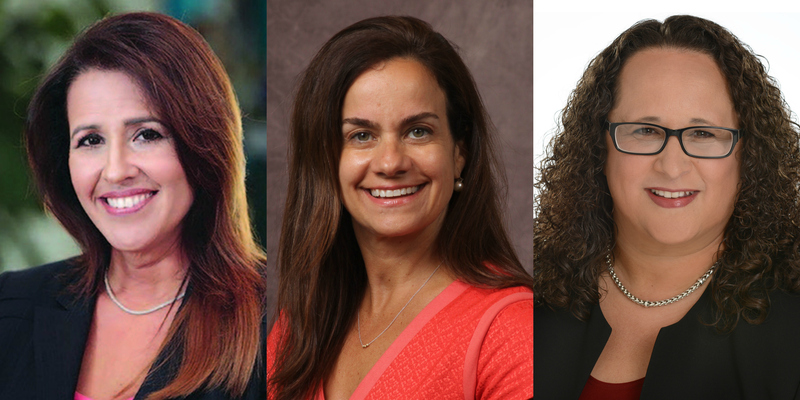 Women at the Top: Fortune Magazine named three FIU alumnae among its list of the “50 Most Powerful Latinas of 2017.” Francis Hondal ’88, MBA ’94, left, is executive vice president for global consumer credit and loyalty solutions at MasterCard. Ileana Musa MBA ’93, center, is the managing director for the global client segment and strategy executive at Bank of America Merrill Lynch. Myrna Soto ’93, right, is the senior vice president and global chief information security officer for Comcast. Carlos Migoya ’74, MBA ’76 received the Greater Miami Chamber of Commerce’s most prestigious honor, the Sand in My Shoes Award, which recognizes a community leader who has made significant contributions to the South Florida area. Don Slesnick MPA ’80 is the new president and chair of the Orange Bowl Committee. Omar Lopez-Chahoud ’90 curated an exhibition, “The Fire Theory,” at Prosjektrom Normanns, a nonprofit art organization in Stavanger, Norway, in April. The exhibition featured the work of four Salvadoran artists. Rick Fernandez ’93 was promoted to managing director of a wealth advisory team at Northern Trust. Biana Murnane BS ’95, M. Acc. ’01 was named executive vice president and chief financial officer at BrightStar Credit Union. She started there in 1997 as a controller. Janet Henfield-Green ’00, MBA ’07 was promoted to senior vice president and Aventura market manager at Marquis Bank, where she is responsible for developing the bank’s presence in northeast Miami-Dade and south Broward. Cisely Scott ’00 was named the 2017 Assistant Principal of the Year by Miami-Dade County Public Schools. Scott serves at Lenora B. Smith Elementary. Cristina di Mauro ’01 was promoted to senior executive vice president at BankUnited. She is a member of the College of Business’ Dean’s Council. FIU legal eagles soar: Ela Hernandez ’06, Maria Piva ’10, Karim Batista JD ’13 and Charles Kondla JD ’13 were honored among the Hispanic National Bar Association’s “2017 Top Lawyers Under 40” in March. The designation recognizes accomplished lawyers who have demonstrated professional excellence, integrity, leadership, commitment to the Hispanic community and dedication to improving the legal profession. Emma Pacetti ’06 joined TotalBank as senior vice president and director of banking centers. She was previously vice president and sales manager at Citibank. Hugo Mojica MPA ’07 joined the Houston Astros as a coordinator for community relations and the Astros Foundation. Kantesh Balani Ph.D. ’07 was awarded 2016 “Metallurgist of the Year.” The award is given by the Indian government to the most promising materials scientists. Balani is an associate professor at the Indian Institute of Technology. 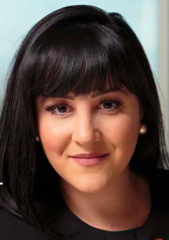 Lourdes Cortizo-Acevedo ’07 is special legal counsel to the director for field legal operations at the office of the principal legal advisor within U.S. Immigration and Customs Enforcement. 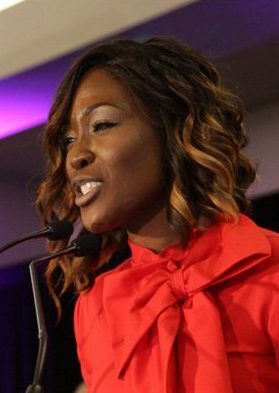 She previously earned recognition as an asylum officer with the U.S. Citizenship and Immigration Services. 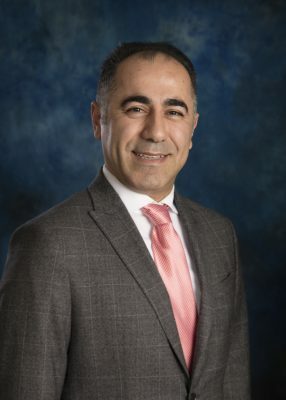 Yasin Daneshfar MBA ’09 joined Becker & Poliakoff, a commercial law firm, as an associate focusing on complex litigation and bankruptcy. Ana-Paola Capaldo ’10, associate general counsel for global ethics and compliance at Laureate Education Inc., was featured on the cover of the February 2017 Compliance & Ethics Professional trade magazine. Ana Cristina Cash ’10 in March 2017 released “The Tough Love,” an extended play recording made at the famous Cash Cabin Studio. 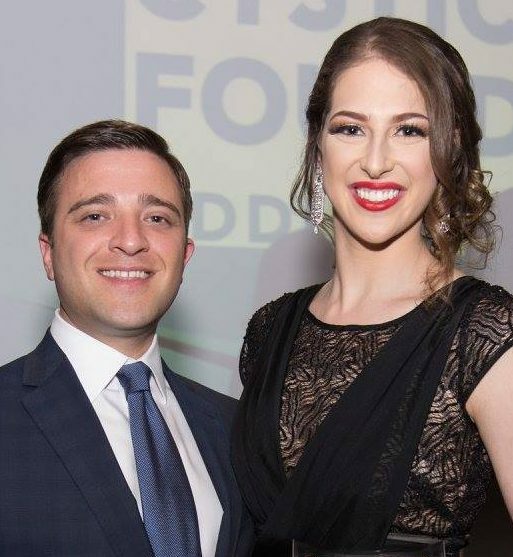 Joseph Goldberg JD ’11 and Amber Kornreich JD ’15 were among “40 Under 40 Outstanding Lawyers of South Florida” honored by the Cystic Fibrosis Foundation. 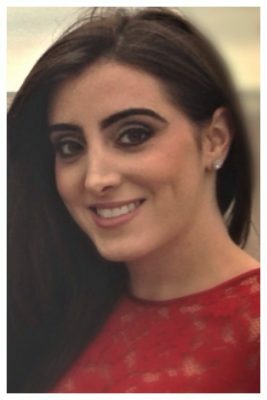 Katherine Smith ’12 was hired as an artist manager for Columbia Artists Management in New York City. Robert Colom ’13, a longtime staffer of the Miami Film Festival, facilitated a partnership between the festival and Google to create a seminar series in 2016 that addressed gender and racial gaps in the film industry. Lynne Wideline Gassant MS ’15, Mrs. Palm Beach County 2017, competed for the title of Mrs. Florida United States in April. Currently working as a talent acquisition recruiter, Gassant runs the nonprofit Scholar Career Coaching, which mentors students in after-school programs and has awarded 10 scholarships. Jeremy Thompson MS ’10, JD ’16 published “Dismantling the School-to-Prison Pipeline: South Florida’s Approach” on February 2, 2017, in Harvard Law and Policy Review. A recent Alumni Association-sponsored trip to Chile brought together dozens of FIU graduates, their spouses and new friends for wine country tours and stops at historic sites. 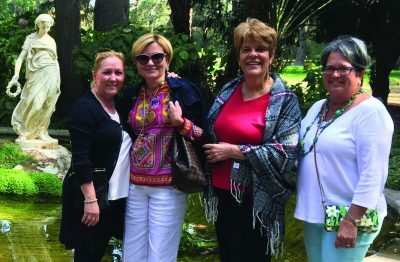 Among those enjoying the scenery, from left, Senior Vice President for External Relations Sandra Gonzalez-Levy, Margarita Villacampa ’90, Angela Martinez and Irene Rodriguez. For information about upcoming trips, click here.